Do you know you can link Dynamics CRM records with OneNote? Take the scenario, you capture unstructured notes in OneNote for your meetings and would like to link those unstructured notes to your CRM record. Through using CRM for Outlook you can create OneNote pages straight from CRM records, that automatically link to the CRM record. A new OneNote page will be created with some base CRM record details and a link to the CRM record that you selected. 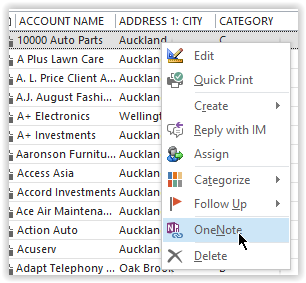 If you now go back to CRM for Outlook and right click on the same record again and select OneNote, the OneNote page will automatically open allowing you to take further notes. 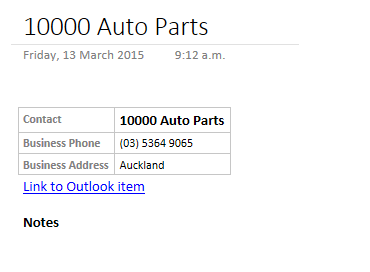 I think this is a great feature for linking CRM with OneNote. 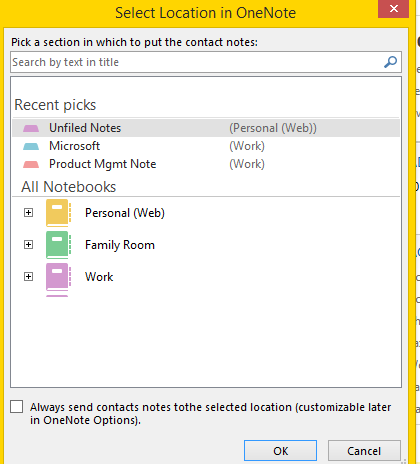 Note this approach does not create any link in CRM back to OneNote from the Form, but from a view in Outlook you can quickly get to the notes.